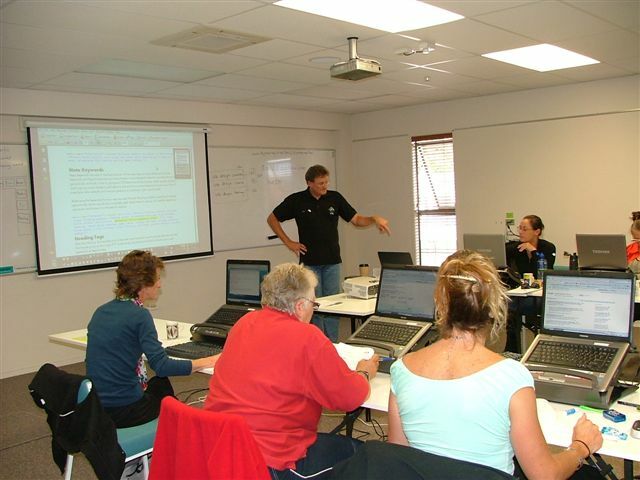 David started training people through Community Education in 2008. He started through Massey High School and a few others around Auckland and now teaches on a regular basis at Selwyn College and Rutherford College. Check the school Community Education websites Selwyn College and Rutherford College for course schedules. Understand freight and shipping with respect to online shopping . The course covers the key principles of Search Engine Optimisation (SEO) and how to set your website up to be found, tuning for keywords, then how to list with Google. Learn about keywords, title tags, meta description, how to build good anchor links and page ranking and search engine monitoring consoles such as Google Analytics and Google Search Console. This WordPress Bootcamp course provides a base level of knowledge in how to build a website using the WordPress Open Source content management system. It covers the terminology that you need to understand before you embark on building a website and then goes in to a bit more depth about what systems are available and then covers the basics on how you set a website up using WordPress, the WordPress dashboard and how to get around the menu options. We also cover themes and widgets and how to add and delete pages and edit content on your website. If you are interested in any of the courses above please contact either Selwyn College Community Education or Rutherford College Community Education for more information.